For regular readers of my blog who are not me or my immediate family (in other words those three of you), you might recall that I have (for many years) supported a cause called #Cans4Cans. Lots of voiceover talents do. Radio imaging company Benztown is sponsoring its fifth annual “Cans4Cans” Holiday Benefit and Giveaway to help drive donations to the LA Food Bank. I know, I’m in Raleigh, NC not LA, but there is hunger everywhere — in the Triangle, in Los Angeles and everyplace in between. 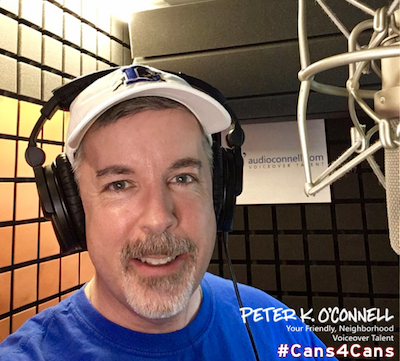 From now until Thursday, December 20th, 2018, radio personalities, voiceover talents and pretty much anybody involved with audio media can post a photo of themselves wearing their headphones (aka “cans”) to Facebook, Twitter, or Instagram with the hashtag #Cans4Cans. In exchange for that picture post and hashtag, Benztown is going to donate a can of food to the Los Angeles Food Bank! The company said over 900 people participated in posting their photo for the Holiday Benefit in 2017. So this post is my very small part to help fix a very big problem. 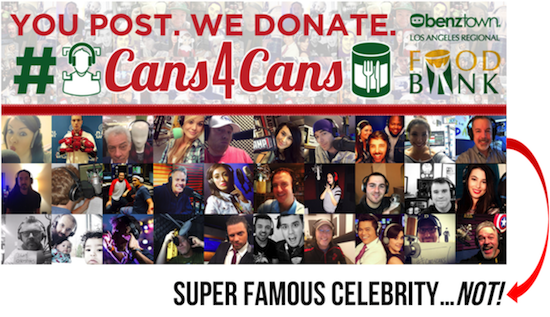 If you would like to participate, snap a photo with your cans on, post to FB, Twitter and or IG with the hashtag #Cans4Cans. Simple as that. Once again, it’s time for the #cans4cans promotion, sponsored by Benztown. The Cans 4 Cans Holiday Benefit and Giveaway helps drive donations to the LA Food Bank. 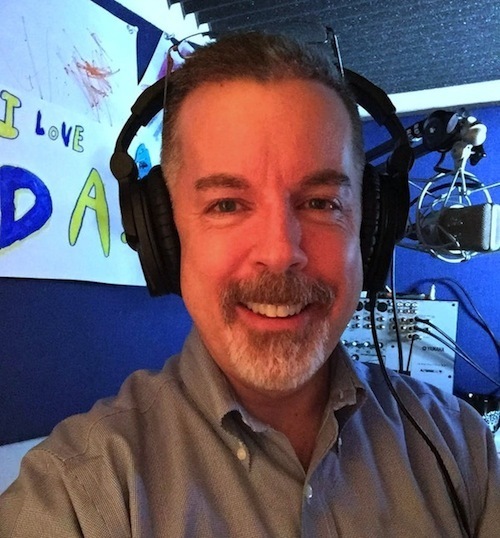 Today, December 22nd, 2017, is the last day you can post a photo of you (usually but not exclusively a voice talent or radio host) wearing your headphones (aka “cans”) to Facebook, Twitter, or Instagram with the hashtag #Cans4Cans . In exchange, Benztown will donate a can of food per post to the Los Angeles Food Bank on your behalf! 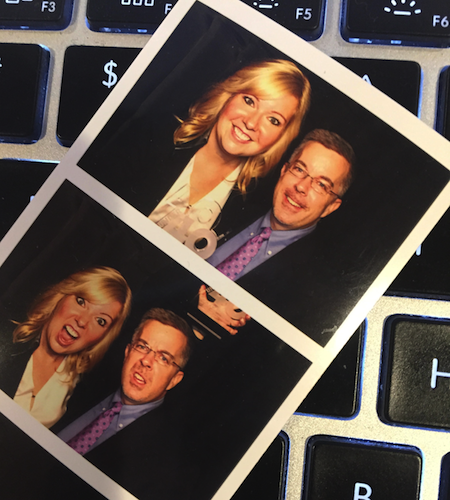 Last year, over 900 people participated in posting their photo for the Holiday Benefit. 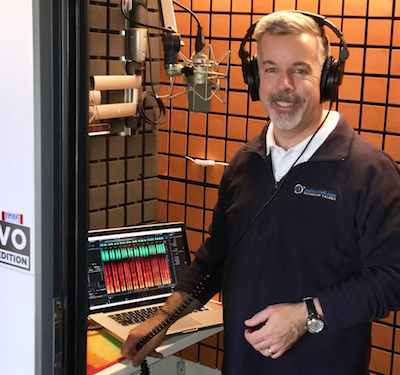 There are many voice-over agents in the voice-over industry but unfortunately only a few good ones (I’m pleased to have the good ones on my team). My friend Jeffrey Umberger has been my agent for maybe 5 years now and is definitely well respected for his efforts on behalf of his voice-talents. 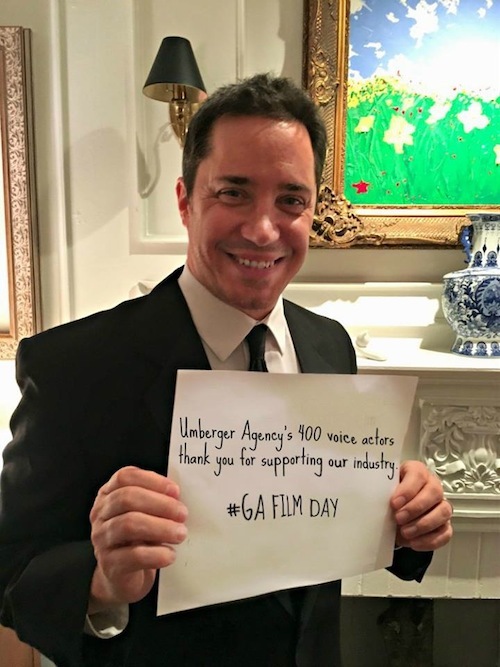 Umberger Agency is headquartered in Atlanta, GA.
On Monday, February 22, 2016 he will be at the Georgia State Capitol to recognize and celebrate Georgia Film Day as hosted by The Georgia Film, Music & Digital Entertainment Office. With help of the State and small business owners like Jeffrey, Georgia is the #1 state in America for film and TV production. Thanks Jeffrey! Benztown is sponsoring it’s annual “Cans4Cans” Holiday Benefit and Giveaway to help drive donations to the LA Food Bank. From now until Wednesday, December 23rd, 2015, people (usually but not always voice talent or those some how involved in audio production) can post a photo of ourselves wearing headphones (aka “cans”) to Facebook, Twitter, or Instagram with the hashtag #Cans4Cans. Benztown will donate a can of food per post to the Los Angeles Food Bank on our behalf! 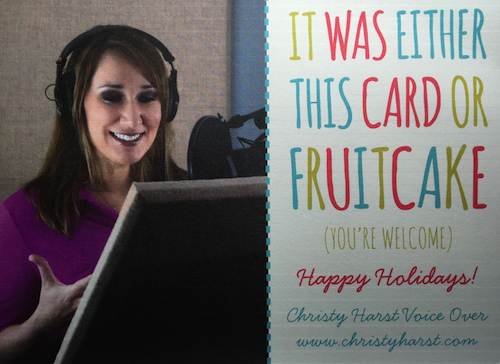 Opened my mail today, this last day of November to receive my first voice-over holiday (read: Christmas) card! I thought it was a great one! My poor photography skills don’t do the card justice. Congrats to my friend and fellow voice-over talent Christy Harst on her design and message. And Merry Christmas! I’m not sure how many years I’ve known Ann Hackett of aHa! Designs but it’s been awhile. I would guess it has been for almost that long as she’s been doing graphic design work for me. So I was honored when she and her husband Tony invited me as their guest to watch Ann receive the very prestigious Business First of Buffalo 40 Under 40 Award on Thursday evening. The goal of the award has always been to identify 40 men and women — under the age of 40, of course — who are successful in their professions and heavily involved in community activities. Ann has been a leader in so many community success but likely her most famous is her work with the Taste of Buffalo where she rose from volunteer to Chairperson of the huge and successful event in short order.